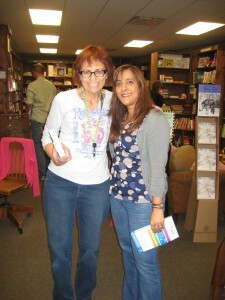 As part of my ongoing “Awesome Indies” series, I’m writing a post about the fabulous independent bookstore, The Tattered Cover, one of three stores located in the Denver metro area, where I just did a mini book-signing. Founded in 1971, The Tattered Cover recently celebrated its fortieth year as an independent bookstore! 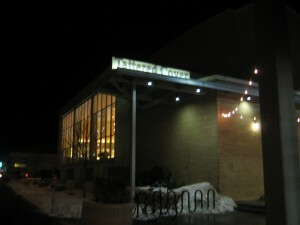 The location I visited was on Colfax Avenue (2526 East Colfax Avenue at Elizabeth Street), and boasted two expansive floors of book heaven. 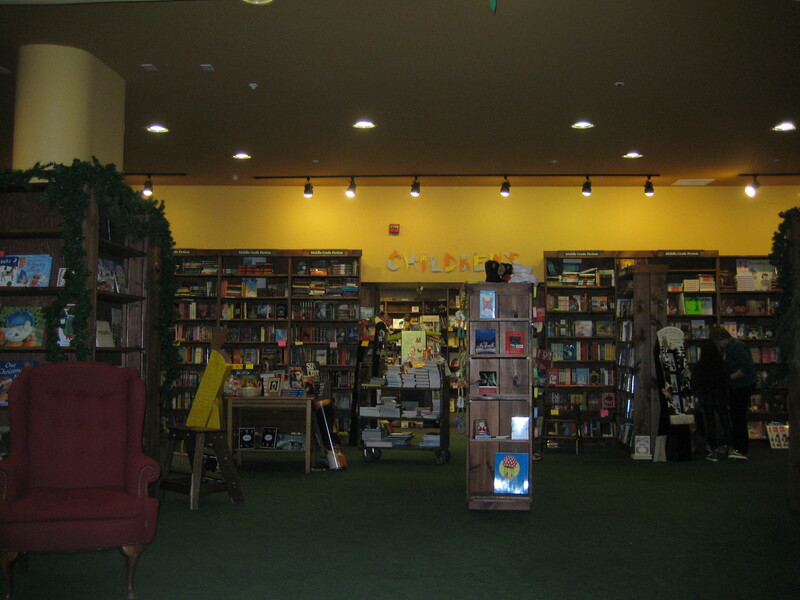 With its comfy armchairs, antique furniture, and reading nooks spread throughout (see inset photo), The Tattered Cover is a bookstore that you can get blissfully lost in for a few hours or an entire day. If you get hungry, there’s even a convenient cafe located on the main floor. There are two other locations in the Lower Downtown area (1628 16th Street at Wynkoop in Denver) and in Highlands Ranch (9315 Dorchester Street). 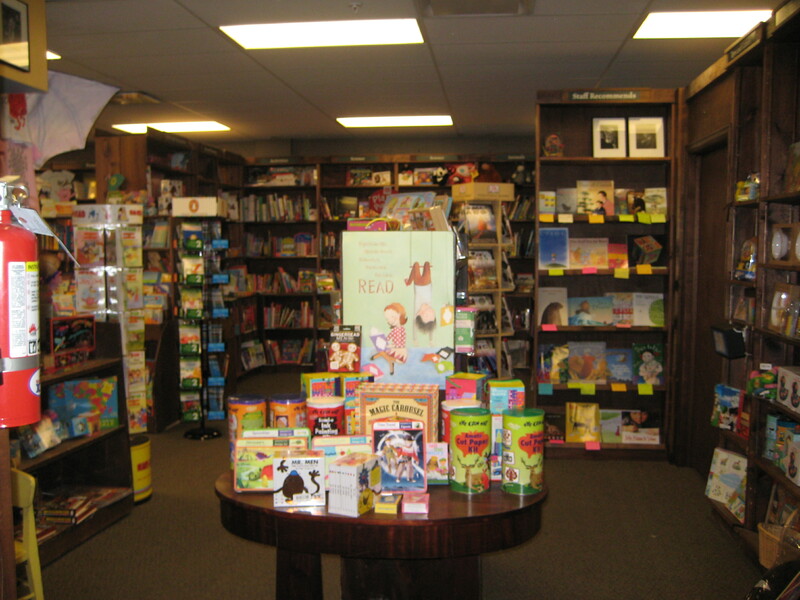 The staff is incredibly friendly and helpful, and willing to provide book recommendations to young readers, older readers, and anyone in between. While signing books earlier this week, I heard one of the staff members discussing books with a middle grade reader, and even walked her to the upper floor to find a specific book that they had discussed. It was heartwarming to see that kind of interaction, especially during one of the busiest seasons of the year. It’s obvious that these guys care about books, and they care about readers. According to its website, The Tattered Cover has over 150,000 titles in inventory, which means something for everyone. The Children’s Area is located on the lower floor, with a cozy area for kids full of books, puzzles and games. I first met Judy Bulow, who manages the Children’s area, during my last visit to Colorado back in October. 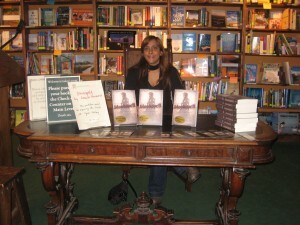 She was kind enough to order my books and arrange for the Bloodspell signing on December 20th. 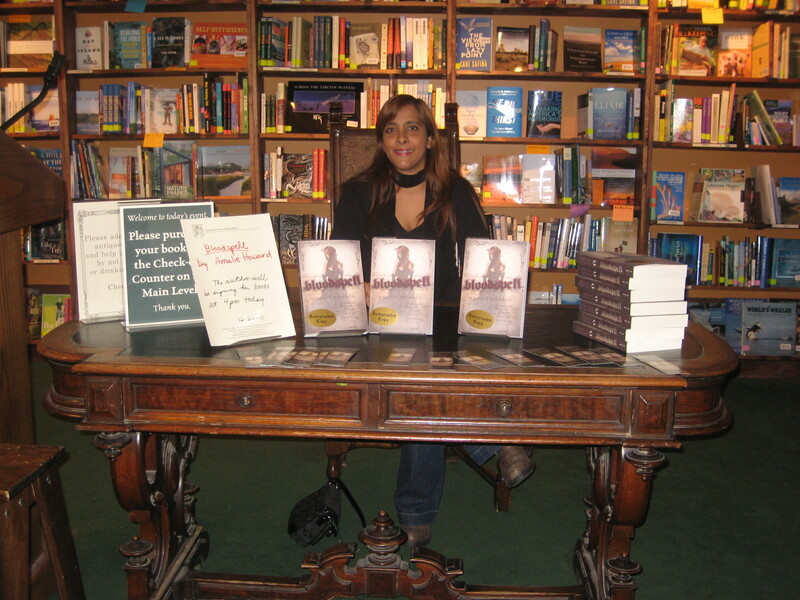 I signed books on a lovely antique table in a wide-open signing area. Considering that The Tattered Cover has hosted authors like my idol, J.K. Rowling, as well as others like President Obama, Stephenie Meyer, Kurt Vonnegut, the Clintons, and many many more, I was following in the signing footsteps of some very illustrious company. It was incredibly cool and only a little mind-blowing! If you’re in the Denver area and love books, stop by The Tattered Cover. Have a coffee, check out the great selection of books, and pick up your own signed copy of Bloodspell! Don’t blame me if you happen to lose a few hours in there. Just enjoy it!